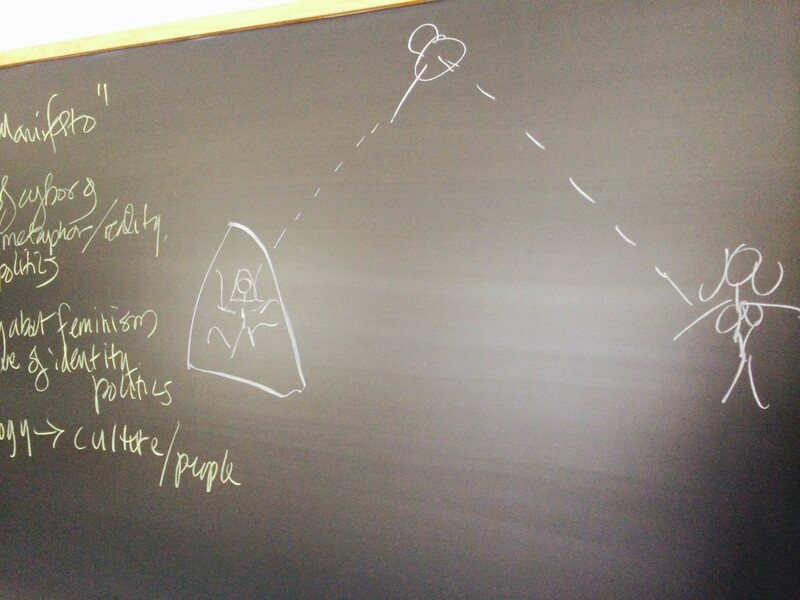 A little diagram from my ENGL 357: “Posthuman Narratives” course at Drew University, Spring 2014. The class is reading James L. Tiptree’s The Girl Who Was Plugged In, and I was explaining telepresence technology. This entry was posted in #blackboard, #firstyearfaculty, Teaching and tagged #blackboard, photos, telepresence, Tiptree. Bookmark the permalink.